Firstly, our congratulations to our youth work leader Matt Bodinham and his new wife Amy on their wedding, which took place in St Mary Magdalene’s on August 15th 2018. We pray every blessing on their life and ministry together. The first is this term’s Encounter youth worship services, 7 - 9pm at St Mary Magdalene’s on the following dates: Sept 22nd, Oct 20th, Nov 17th and Dec 15th. 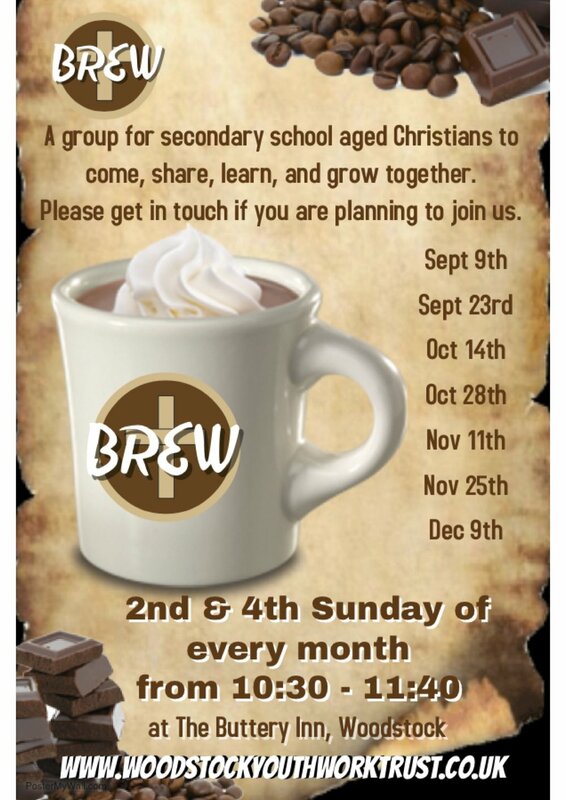 The second update is about Brew: a space for secondary school-aged Christians to meet together twice a month in Woodstock. 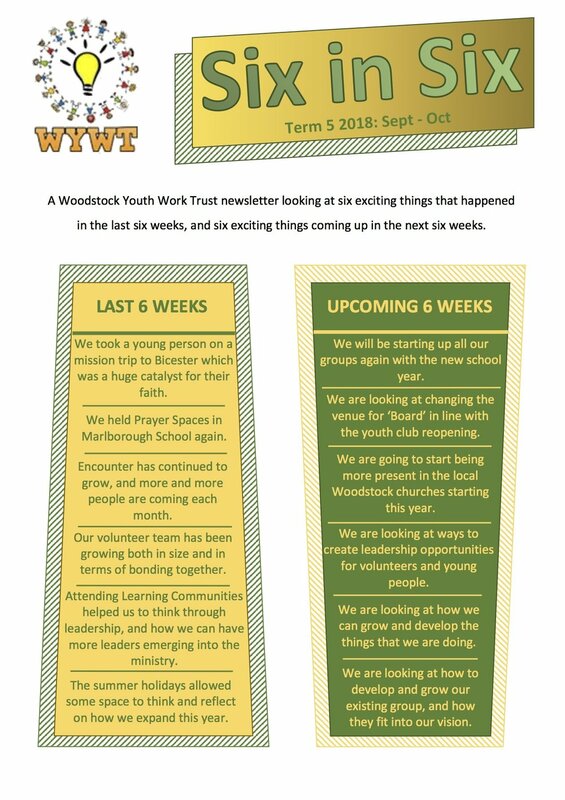 For more details on the Woodstock Youth Work Trust and what’s involved, click here.